Club football is back, and of course so is Before the Whistle. George Singer takes a look at Fulham’s latest test against Derby County, as Slavisa looks to get this season back on track. Hello and welcome to another edition of Before the Whistle! 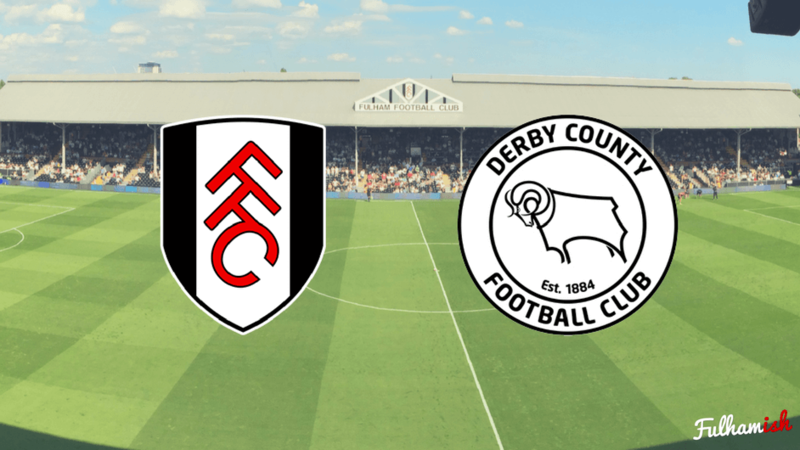 Today, I take a look at our rivals Derby County, and take a statistical look into what we can expect when they visit the Cottage on Saturday. After 4 or 5 years of consistently finishing in or around the playoffs, Derby again went into this season as a team hoping to finish in the top half of the table. After an indifferent start to the season, Gary Rowett’s team have hit a great run of form. 4 games out of the last 5 have been wins, including impressive 3 points in tricky away trips to Leeds and Norwich. Their squad had a fairly major reshuffle over the summer, losing two key players in Will Hughes and Tom Ince to the Premier League. However, the Rams have rebuilt well, signing premier league experience in Curtis Davies and Tom Huddlestone, and now see themselves again challenging for playoff places. The last couple of years have seen instability off the pitch for Derby, with the board hiring and firing managers in an attempt to bridge the gap between play-off heartache and automatic promotion. They now seem to have settled on well-regarded Gary Rowett, which has resulted in some stability and consistency on the pitch. A common issue for Derby, under both Steve McClaren stints, was large swings in form. When they were playing well, they would tear the league apart. However, this seemed to be followed by a large patch where they would crumble – as seen in the second half of McClaren’s tenure last season (above). Since Rowett joined Derby have become more consistent, but still unspectacular, and not yet showing the numbers which suggest they are a contender for automatic promotion. So what do Fulham need to look out for? Derby seem to be operating a rotational policy in their strikeforce, with Vydra, Winall and (yep, that guy) Chris Martin all aiming to get into the attacking midfield spots in the team. My man to watch is the man who leads the line – David Nugent. Nugent tops the charts for both xG scored, and xG assisted, for Derby – and is directly involved in 0.75xG per match – the 7th best in the league. So how do Fulham stop Nugent? Well firstly – where on the pitch does he create chances? The above graphic shows Nugent’s mobility, and how he isn’t afraid to run down the channels or drop deep to create chances for the team. In particular, he creates dangerous chances crossing into his strike partner from the right hand side of the pitch – which Fulham will need to look out for. Next, how do Fulham stop Nugent shooting? Where on the pitch does he take shots? You can see that whilst Nugent’s shot map looks like that of a poacher – with most the shots tending to come from high quality areas just infront of the goal. He also isn’t afraid of taking a pot shot outside the area, and has found the net once from here. How could Fulham line up to stop Nugent & Derby?